New York emergency action for Gaza | Fight Back! 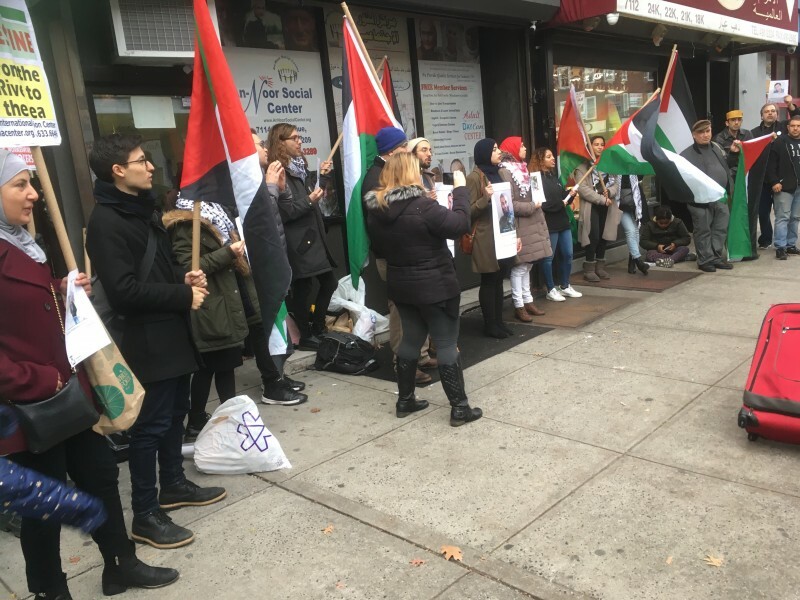 Brooklyn, NY - Forty activists and community members gathered in Bay Ridge, Brooklyn on November 17 in response to the Palestinian protesters killed and wounded in Gaza this past week. The Palestinian protesters were part of the Great Return March, and were met by Israeli Occupation Forces at the border. To start off the event, the names of seven murdered by Israel were read aloud, followed by a moment of silence. The crowd then chanted and heard from different speakers. Despite the fact that numerous Palestinians were murdered, continuous protesting has resulted in some setbacks for Israel. Nerdeen Kiswani from Within Our Lifetime - United for Palestine emphasized how Israel has been forced to make concessions because of the resistance, including a ceasefire on Palestinian terms. “They were so humiliated that the Israeli Minister of Defense Avigdor Lieberman actually resigned,” said Kiswani. Other organizations, such as Project Solidarity and Committee to Stop FBI Repression, made the connection between what’s happening in Palestine to U.S. wars abroad, the migrant caravan, and the NYPD. They also emphasized the need for continued organization for Palestine and other movements. The call was put out by NY4Palestine, a coalition of Palestine and solidarity organizations.